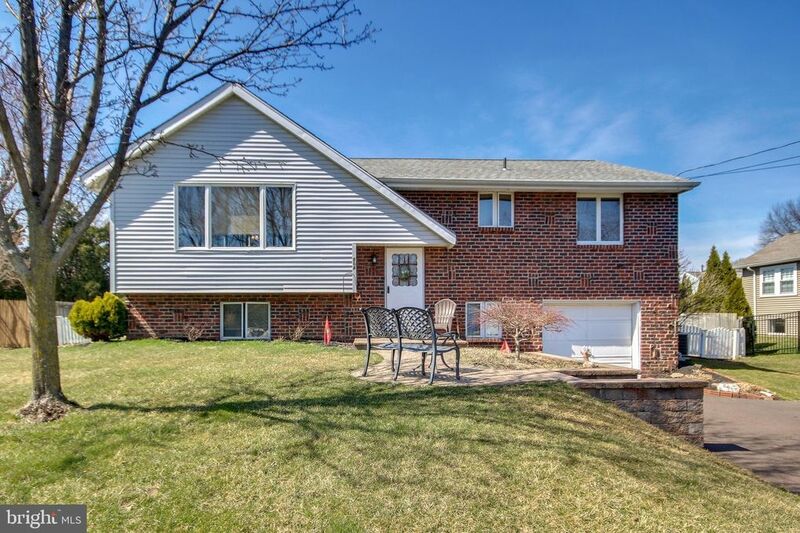 Partially brick front bi-level with in-ground pool in desirable Palomino Farms. Step up from the 2 story entrance into the main living area which features an open floor concept. Formal living room opens into both dining room and kitchen. The living room features a triple Anderson window and ceiling fan, wall to wall carpets over hardwood flooring that flow into the dining room, hall and main floor bedrooms. Formal living room leads into dining room with triple casement window and lighted ceiling fan. Dining room opens into kitchen with breakfast island, Corian counter tops, Solid oak cabinetry, Cerran range, built-in dishwasher, recessed lighting, ceiling fan and ceramic tile floor and island that seats four. Master bedroom has casement windows and ceiling fan and full bath with double shower. Two additional roomy bedrooms and a full hall bath complete this level. From the foyer, step down into the Lower level that features wainscot trim, spacious family room and has carefree laminate that resembles hardwood flooring and casement window for natural light, also access to the large 22 x 10 covered patio. The backyard is perfect for entertaining with in-ground pool, covered patio and large storage shed. Central Bucks Schools!